Andrea ModLash #45 (also known as Andrea Strip Lashes #45) style lashes are spiky in design, with moderate volume, but definite length. This style comparable to Ardell InvisiBands Scanties lashes and Runway Claudia. 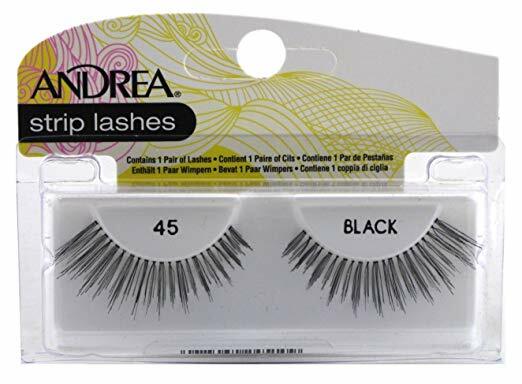 Andrea ModLash #52 (also known as Andrea Strip Lashes #52 Black) style lashes are light and wispy, yet add considerable volume and moderate length. These falsies accentuate natural lashes without actually looking false at all. Andrea ModLash #53 (also known as Andrea Strip Lashes #53) style lashes are petite and graduated. These falsies add subtle length and volume for a completely natural look. Style is comparable to Ardell InvisiBands BABIES Lashes and Maybelline Expert Lash Natural (Naturales) 510 Lashes. Available in Black and Brown colors. 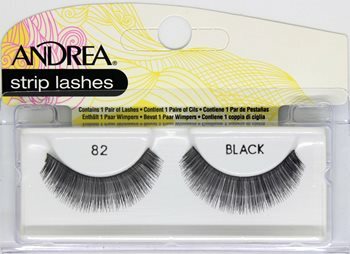 Andrea ModLash #62 (also known as Andrea Strip Lashes #62 Black) style lashes add incredible length and moderate volume to natural lashes. 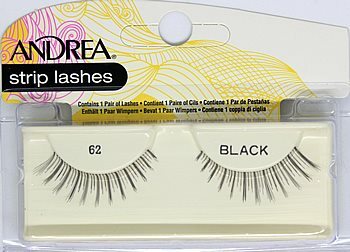 Andrea ModLash #70 (also known as Andrea Strip Lashes #70 Black) style lashes are naturally light falsies, adding subtle length and volume. Similar to Ardell LashLites Sweeties. Nothing creates a more sweet, romantic, and voluminous touch to your makeup. Andrea ModLash Strip Lash #71 (also known as Andrea Strip Lashes #71) can spark up your look with a lash pair that is hand cut to be perfectly long and luscious. Thse falsies are hand woven with different levels of thickness mimicing the lashes you wished you are born with. 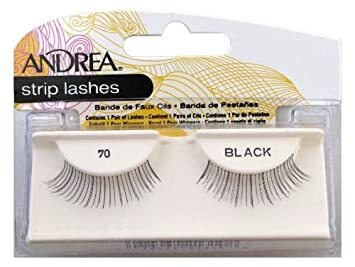 Andrea ModLash Strip Lash #72 (also known as Andrea Strip Lashes #72) are sure to add an edge to your next makeup of the day look while perfectly blending in with your natural lashes. These long lashes has graduating length with outer flair to create the illusion of lush long lash extensions without the hassle! We love these multi-layered, dimensional and ultra soft falsies lashes. Andrea ModLash Strip Lash #73 (also known as Andrea Strip Lashes #73) are hand crafted from high grade tapered synthetic and natural hair fiber blends. Add the perfect amount of glamour to your eyes with built in criss-crossed lash bundles to create the illusion of lush natural yet glamorous lashes! We love this highly textured false lashes with alternating lash bundles to create voluminous look throughout. Andrea ModLash Strip Lash #74 (also known as Andrea Strip Lashes #74) has a spiky pattern design to create a sophisticated yet romantic makeup look with this lash style! These lashes goes well with most eye shapes. They the perfect lashes to help you bat them falsies with confidence.